According to a report by Bloomberg, Amazon is planning to launch a smartphone to compete with Apple's iPhone and Google's Android platform and to give the company a wider range of devices to push digital content to. 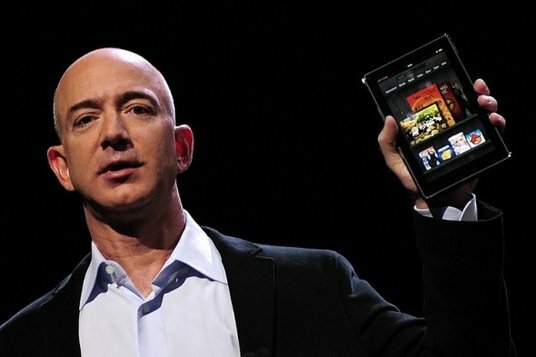 Amazon is said to be working with Foxconn to manufacture the device. This is a disaster waiting to happen. I have already written about why Amazon's device strategy would not work in the smartphone segment. It all boils down to price and the kind of content used on smartphones and unfortunately for Amazon, they don't have an advantage in either. I have no idea what the device will be priced at, but it will be extremely difficult for Amazon to compete against subsidized mid-range handsets in developing markets and low cost Chinese vendors in emerging markets. I believe in the makers of smartphone, i think its a challenge for them to compete to the big company like Apple.Good luck to Amazon. I agree, smartphone consumers rarely would switch from brand that they trust and enjoy to new brands. It would be hard, to compete with big smartphone brands. I just wonder if amazon would really release one.